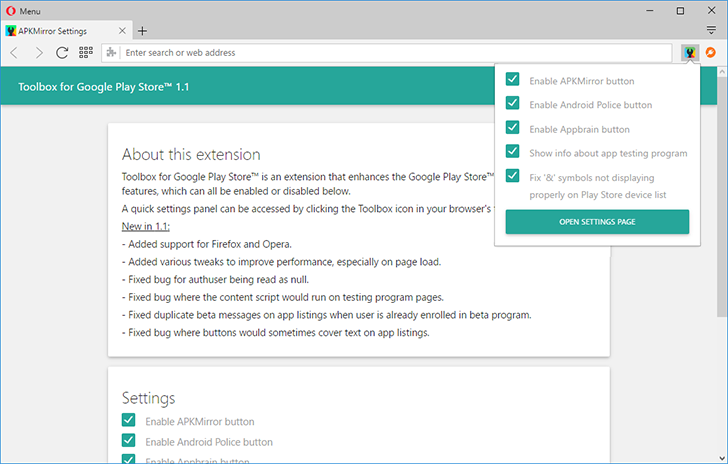 Back in December, we announced Toolbox for Google Play Store, a Chrome extension designed to improve the Play Store desktop site. It adds integration with several sites (including Android Police, Appbrain, and APKMirror), easy access to join/leave an app's beta program, and even fixing the '&' symbol not being displayed correctly in your device list. All of these features can be turned on or off individually. I'm excited to announce that Toolbox is officially available for Opera.